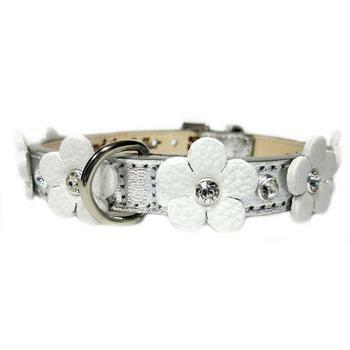 The sparkle from the Swarovski stones offer the best style & shine for any well-dressed dog. 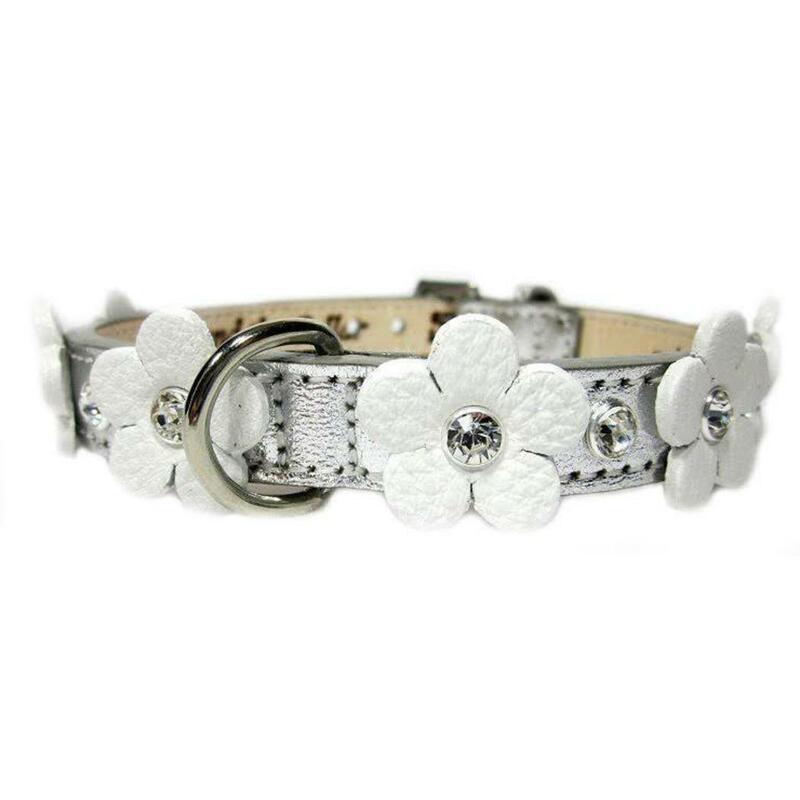 Custom designer collar has a genuine Swarovski stone in the center of each Ellie flower and in between the flowers. Both flowers and collar are made from fine genuine leather. Please pick the collar color, the flower color, the stone color for the collar, and the stone color for the center of the flower. You can choose one stone color if you like. *Matching custom designer Ellie Bling dog leash also available!